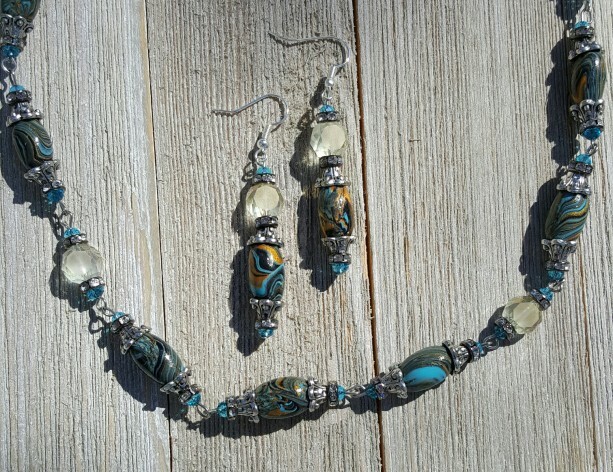 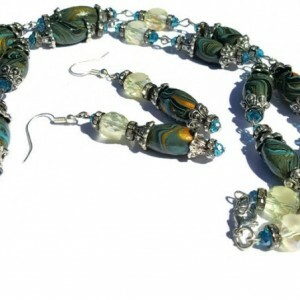 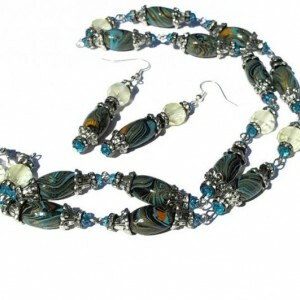 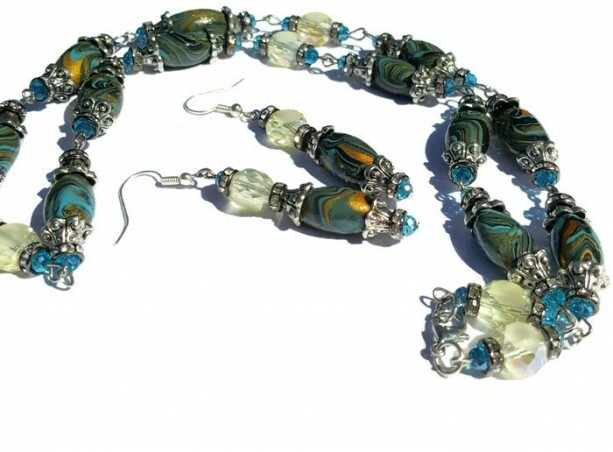 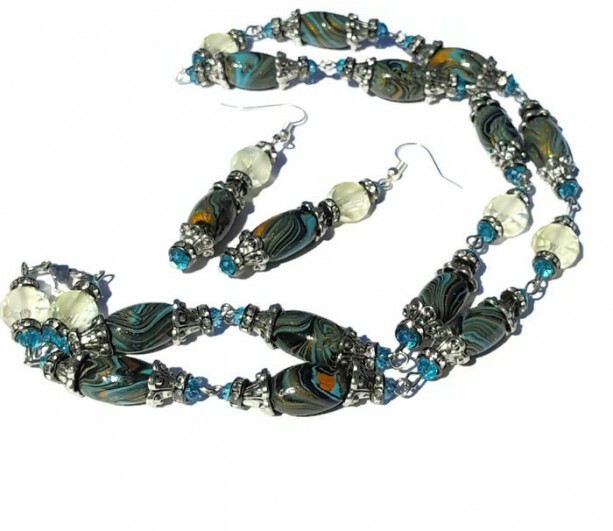 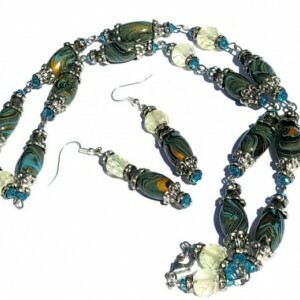 This beautiful necklace and earring set features handmade clay beads. 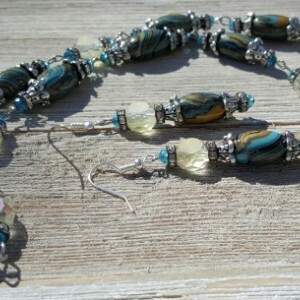 These beads were made with light blue, gold, and black clay. 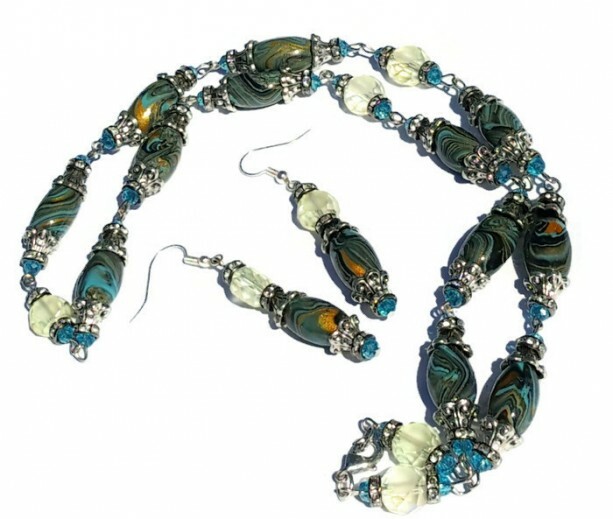 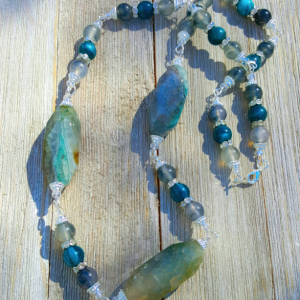 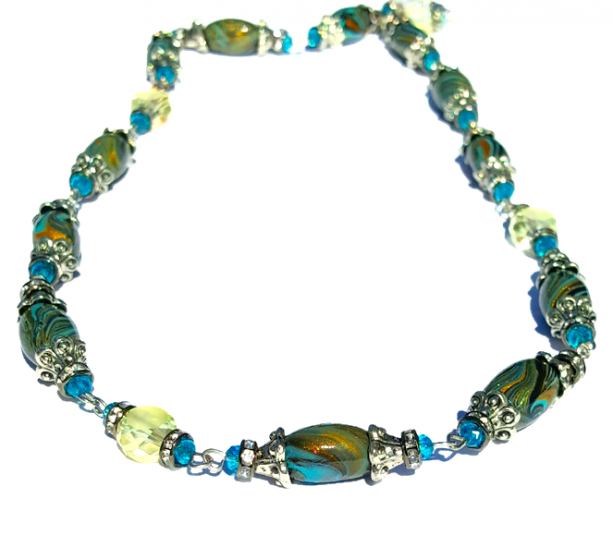 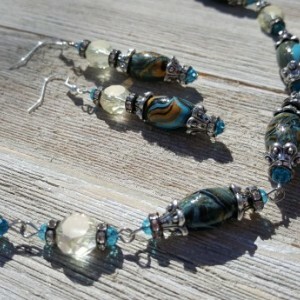 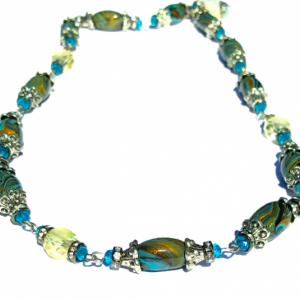 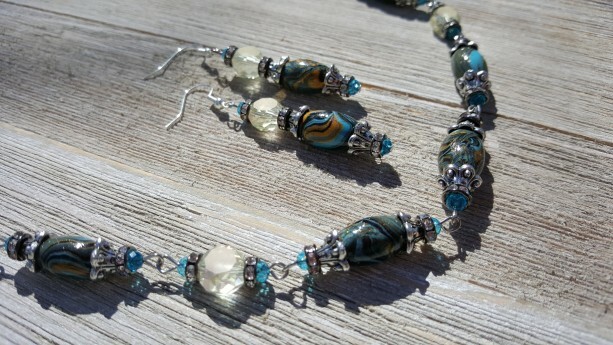 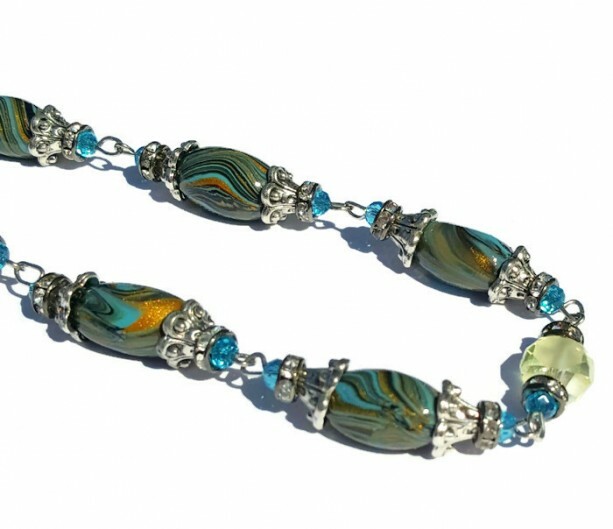 They are accented with silver toned bead caps and tiny sparkly faceted beads. 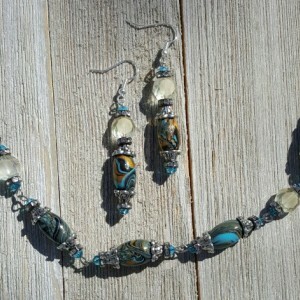 The earrings hang from ear wires and have a drop length of 1 1/2 inches. 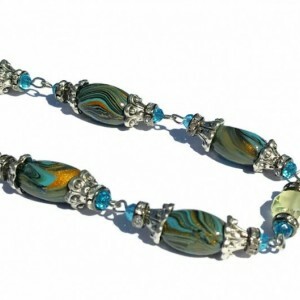 The necklace features a lobster claw clasp for easy closure.